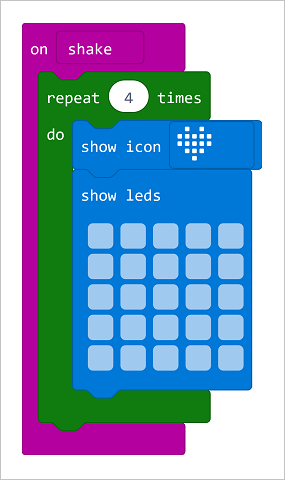 MakeCode for the micro:bit update coming soon! 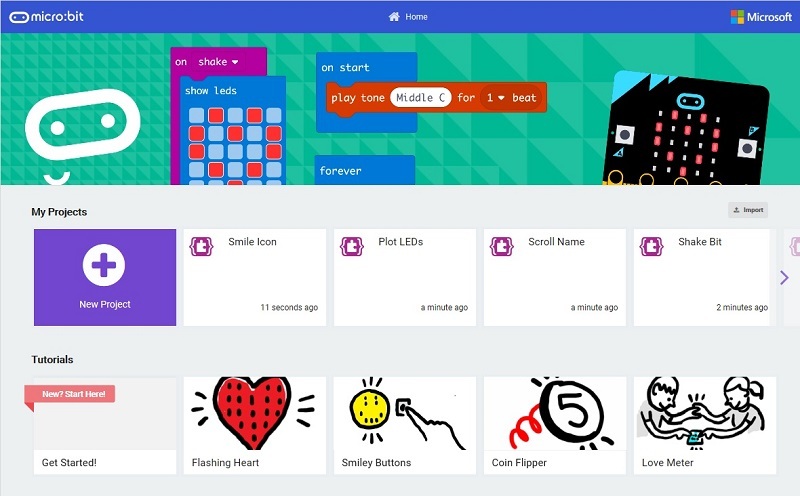 The MakeCode team has been working to provide a summer update to its micro:bit editor You can preview the update at https://makecode.microbit.org/beta. This update is in Beta now and only includes incremental changes and improvements that are designed to not to be disruptive or break any of your existing programs. So, when we release this new version, we will continue to support the previous version for those of you who aren’t ready to move over just yet 😊. Home Page – we’ve wanted to make the getting-started experience more intuitive by creating a set of step-by-step tutorials and have more discoverable example projects. We moved all the content previously in the Projects menu into this new home page experience as a gallery view. 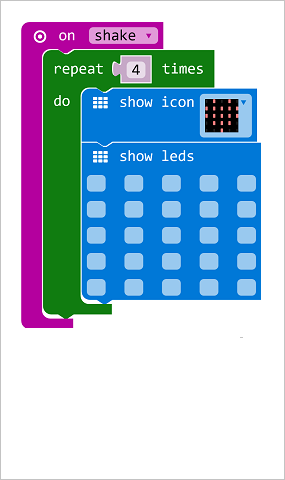 If you want to bypass the home page, you can get to the editor directly at https://makecode.microbit.org/beta#editor (notice the #editor at the end of the URL). Bigger blocks which make it easier for users of touchscreen devices to drag and drop with their finger. They use the block space more efficiently too. 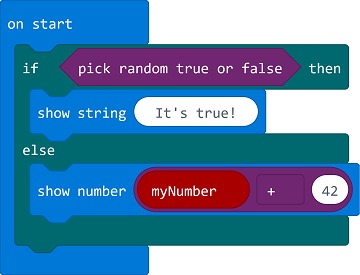 Different shapes for different data types – specifically the boolean values true and false have a hexagon shape while the shapes for numbers and text are round. 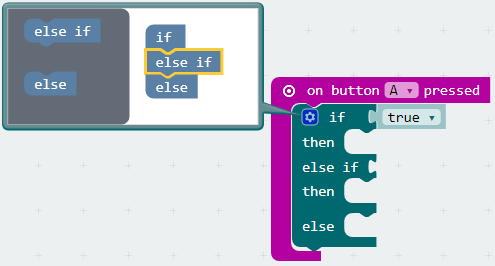 A better indication of where blocks fit together and a distinct “snap into place” action. Cogwheel RIP – we got out the shovels, said a few words, and then had a little party when the cogwheel died. 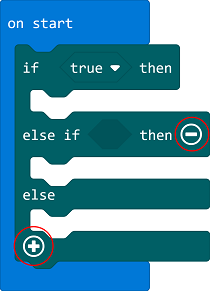 You likely you used the cogwheel with your If Then Else blocks to add additional clauses. It was an awkward interface that most people didn’t know how to use. We’ve replaced this functionality with the more intuitive plus (+) or minus (-) icons on the blocks for adding or removing clauses. Make a Variable – based on feedback, we tried to make the process of creating variables much clearer. Now, you will explicitly click on the Make a Variable... button in the Toolbox to create a new variable with the name you want. The variable is then associated wtih the other blocks in the Variables drawer of the Toolbox. Radio blocks – we made slight changes to some of the Radio API’s to make them simpler. Most people won’t notice the changes, but if you are an advanced Radio user, you may see that we’ve rearranged the way radio packets are received – all the same functionality is there, but it’s made more explicit through single-use blocks. Floating point – this is probably the biggest change we’ve made for this update. All you Math Teachers out there, prepare to rejoice… we now support floating-point arithmetic! This was a big request – as many of you know, we only had support for integers before. But now 3 / 2 really equals 1.5 (instead of just the simple integer of 1)! As a heads-up for everyone, the programs that you create in the new beta editor will NOT work in the current editor. 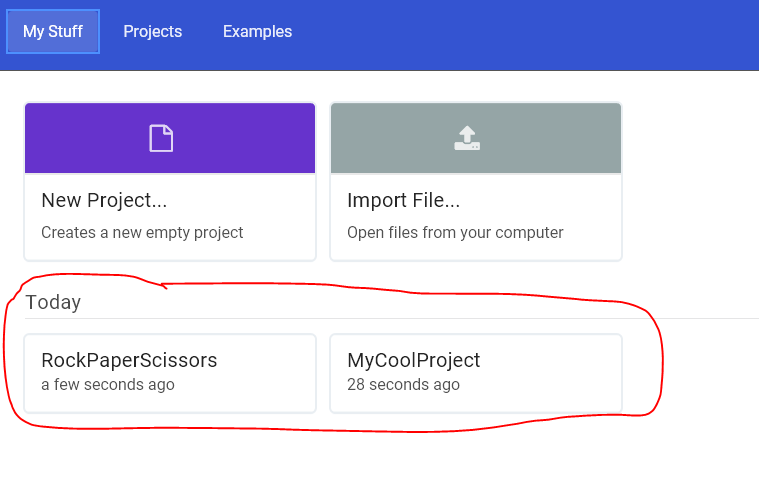 However, the first time you visit the new editor, your existing projects from the previous editor are automatically copied to the new editor so you can continue working on them. If you go back to the previous editor after this migration, you will still find your old projects there, but if you modify them in the old editor, they’re NOT automatically copied again to the new editor. In other words, the automatic migration is a one-time process that happens the first time you visit the new editor, after which your old projects and new projects are independent from one another.